Roofing assemblies are the first line of defense against the elements in the complete building envelope. Roofing assemblies must be able to protect a structure from the natural hazards associated with the local environment, including rain, hail, snow, high winds, temperature extremes—and even fire. When it comes to many modern commercial roof structures, bigger is better. Warehouses, distribution centers, warehouse stores and other large commercial facilities typically have roofs that measure in the hundreds of thousands of square feet. As commercial facilities have increased in size over the past few decades, so too have the challenges in property loss prevention. 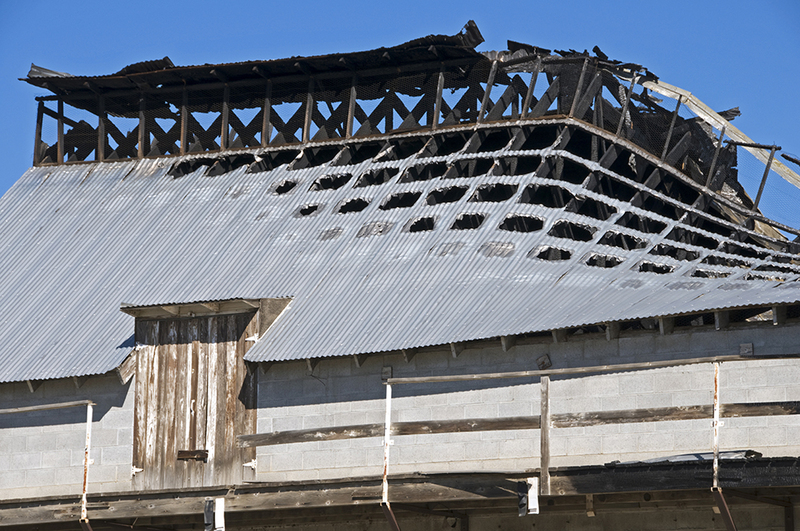 The failure of a building’s roof can have a devastating impact from which a business may not be able to recover. 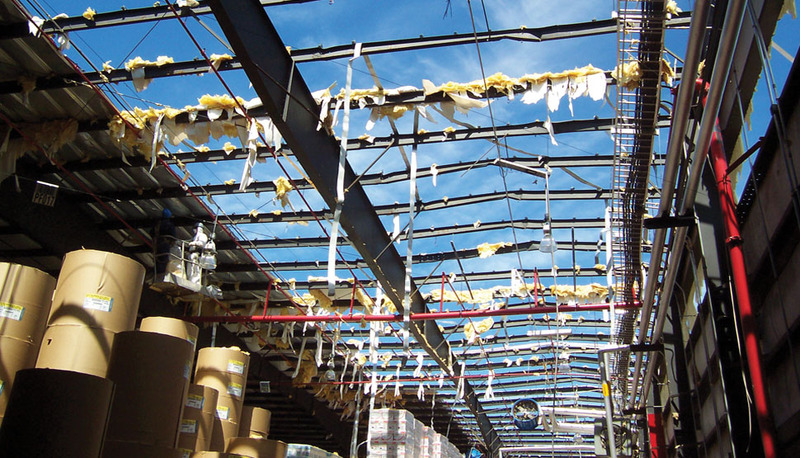 When a roof is damaged or destroyed, the building contents can be exposed to moisture and contamination, further compounding the loss. Fortunately, most property loss, including losses involving the roof, can be reduced if not prevented. FM Approvals is doing its part to help property owners mitigate losses by continually improving Approval Standards and by helping to make it easier for designers, architects and contractors to specify and install locally available FM Approved roofing assemblies anywhere in the world. FM Approvals is the only organization in the world that tests only complete roofing assemblies, subjecting them to tests that simulate multiple real-world perils such as fire above and below the deck, wind uplift, hail, weathering, water leakage, foot traffic and the corrosion of metal parts. “Our efforts have paid off in the form of reduced property losses for those who follow our recommendations and use FM Approved building products and assemblies,” notes Phil Smith, FM Approvals assistant vice president and principal engineer. FM Approvals makes it easy for building designers, architects, contractors and authorities having jurisdiction (AHJs) to specify and build FM Approved roofing assemblies that meet the exact requirements for a particular design and location. All FM Approved roofing products and assemblies are listed in RoofNav®, a Web-based system that is free to the public and takes the guesswork out of configuring FM Approved roofing assemblies. This year marks the 130th anniversary of FM Approvals, an ideal time to review some important milestones in FM Approvals roof testing and standards development. It’s important to note that FM Approvals standards and test procedures are based, in large part, on loss prevention research and loss history experience. Commercial and industrial property owners around the world rely on FM Approved products to help mitigate property losses. They know that FM Approvals’ standards and testing procedures are among the most rigorous in the world, and that FM APPROVED is a true quality mark around the globe. The story of FM Approvals’ interest in roof assembly testing and certification really begins in the late 1940s. The post-WWII building boom was in full swing and factories were running at full capacity to supply the cars, houses, appliances and everything else desired by the post-war world. In 1947, FM Approvals moved its fire test facility from Woburn to Norwood, Massachusetts, USA, where it built a facility capable of testing full-sized samples of walls, roofs and sprinkler installations. This facility would remain the world’s largest test center devoted to property loss prevention research and testing until the construction of a new test center in West Glocester, Rhode Island, USA, in 1967. This latter facility would be surpassed in size and scope with the construction of the FM Global Research Campus on the same site in 2003. On August 12, 1953, the industrial world experienced a “Big Bang” event that forever changed the pace and intensity of fire testing and standards development. On that afternoon in August, the General Motors transmission plant in Livonia, Michigan, USA, caught fire and burned to the ground. The 1.5 million-ft.2 (139,355-m2) plant was the only source of Hydramatic transmissions for GM, Pontiac, Oldsmobile and Cadillac cars and trucks. The fire began when sparks from a cutting torch ignited a conveyor drip pan containing ignitable liquid used as a rust inhibitor for transmission parts. The steel-framed building had brick apron walls and a steel deck roof insulated with asphalt-saturated felt covered by tar and gravel. The building had no fire walls and was only partially sprinklered. It’s believed that flames from the conveyor drip pan ignited oily condensate on exposed steel roof trusses. Heat from the fire degraded the roof insulation and other roofing components. Combustible gasses and melting asphalt entered the building through heat-warped seams and fed the growing fire. The fire resulted in an estimated US$55 million in property damage and US$750 million in business interruption, making it the worst industrial disaster on record at that time. In 1954, FM Approvals built a new fire test apparatus in Norwood known as the “White House” test, which was used to simulate the conditions of the GM fire and thereby evaluate the fire performance of various roofing assemblies. The test apparatus measured 100 feet (30 meters) long, 20 feet (6 meters) wide and 10 (3 meters) feet high. This research—the first-ever to evaluate flame spread performance of full-scale roofing assemblies—led to the development of the FM Approved Class 1 insulated steel deck roof and roof coverings. By correlating the results of the full-scale White House tests, in 1957 FM Approvals was able to develop a smaller-scale version of the test, known as the Construction Materials Calorimeter (CMC). This intermediate-scale, furnace-like system is still used today to measure the maximum rate of heat release of roofing assemblies. It’s important to note that, unlike most certification agencies that allow recognition based on one type of fire test, FM Approvals requires an analysis of both the interior and exterior fire performance of an assembly prior to Approval. The Construction Materials Calorimeter operates on a principle of direct fuel substitution in which evaluating fuel at a metered rate is introduced to replace the fuel contributed by the burning sample. The test procedure is accomplished in two steps: Fire Exposure and Fuel Evaluation. During the Fire Exposure period of 30 minutes, the test panel, which is a representative sample of the construction to be tested, is positioned as a horizontal cover on the liquid fuel-fired test furnace. As burning proceeds, a flue time-temperature curve is obtained, resulting from the combined burning of the test specimen and the fire exposure. During the Fuel Evaluation with a noncombustible panel taking the place of the test sample, the 30-minute test is repeated under identical test conditions, adding auxiliary fuel at a metered rate to create the same time-temperature curve obtained in the first step. The recorded auxiliary fuel data represent the actual fuel originally contributed by the test sample. Since all other conditions are maintained constant, the fuel contribution added through the evaluating burners equals the fuel contribution produced by the sample. The CMC provides the same results as the White House tests, but requires a far smaller test sample and a shorter test configuration and performance time. This reduced the time and cost of roof assembly testing. This approach—working to reduce full-scale tests to small- or intermediate-scale tests without sacrificing results—is a trend that FM Approvals continues to pursue to this day. In the 1967 hit movie, The Graduate, Dustin Hoffman’s character Benjamin gets a key word of career advice from a wise family friend: “plastics.” An increasing variety of plastics found their way into almost every imaginable product beginning in the 1960s, and the construction industry was no exception. Plastic foam insulation, for instance, is an effective and cost-effective way to insulate walls and roofs. This insulation emerged as a way to help counter the dramatic rise in heating costs related to rising oil prices due to the 1970s oil embargoes. Unfortunately, many plastic foam insulations were also highly flammable and began to contribute to catastrophic fire losses. As a result of poor fire performance, the building codes of the 1970s began to require that a thermal barrier be included below foam insulations used in roofs. Meanwhile, single-ply roof coverings were introduced in Europe in the 1960s and became increasingly popular in the United States beginning in the 1970s. Again, rising oil prices made single-ply covering a less expensive alternative to built-up roofing. 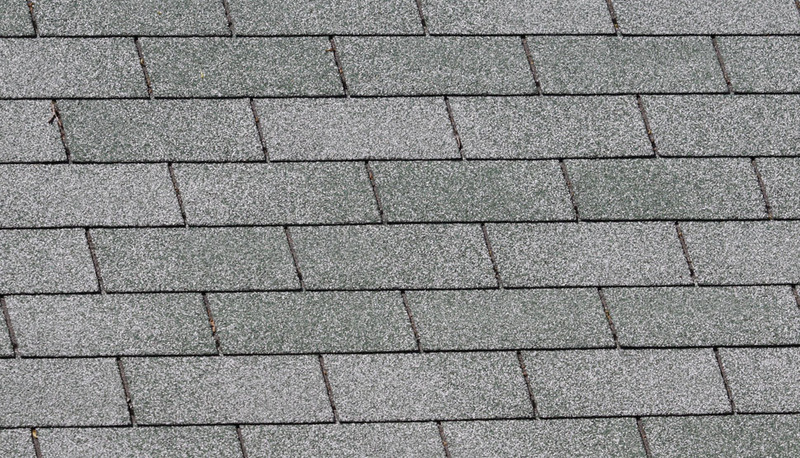 However, many early installations of single-ply roofing performed poorly in the harsher North American climate, leading to some catastrophic failures in the 1980s and 1990s. With the increased variety of roofing systems appearing in the 1970s and continuing through today, FM Approvals introduced new test methods and new test facilities to accommodate not only the rising demand for FM Approvals testing, but the increasing variety of roofing options. 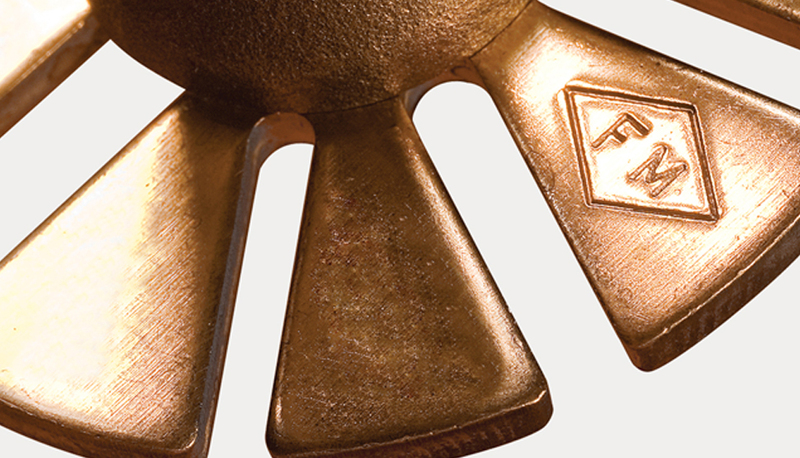 Beginning in 1954, FM Approvals used a 5 x 9-ft. roofing assembly sample clamped to a static air-pressure chamber. Air pressure was increased in 15 pounds per square foot (psf) increments and rated I-60 or I-90 according to their ability to withstand 15-pound incremental increases in pressure, starting a 30 psf, for one minute each, up to and including the passing pressures of 60 or 90 psf. These test standards for wind uplift prevailed for about 20 years until 1992’s Hurricane Andrew struck Southern Florida with Category 5 winds. The powerful storm scoured a wide swath across the Florida peninsula, destroying 730,000 homes and other buildings. Widespread damage resulted in all types of structures in the storm’s path. By this time, FM Approvals was using Approval Standard 4470, Single-Ply, Polymer-Modified Bitumen Sheet, Built-Up Roof (BUR) and Liquid Applied Roof Assemblies for Use in Class 1 and Noncombustible Roof Deck Construction, as its primary roof evaluation standard. 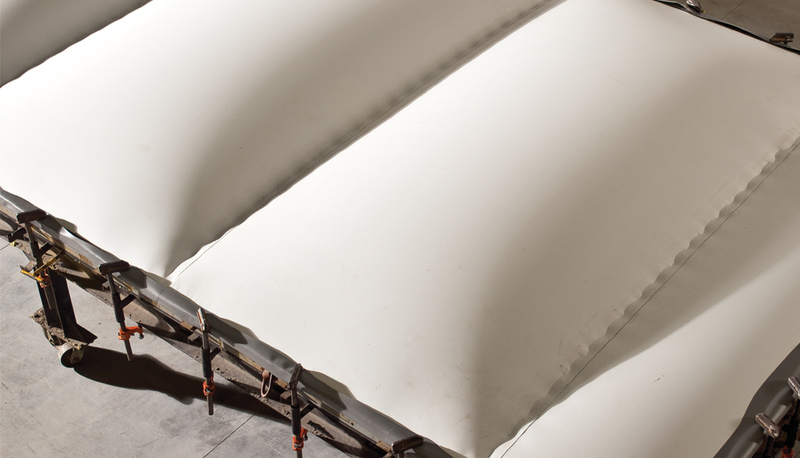 Based on some of the post-storm evidence and research performed by FM Approvals and others, FM Approvals added the 12 x 24-ft. (3.7 x 7-m) wind uplift test. The wind uplift test requirements are contained in ANSI FM 4474, American National Standard for Evaluating the Simulated Wind Uplift Resistance of Roof Assemblies Using Static Positive and/or Negative Differential Pressures. The standard includes three types of tests—2 x 2-ft. (0.6 x 0.6-m) pull test, and 5 x 9-ft. or 12 x 24-ft. uplift tests—which can be applied depending on the type of roof structure under evaluation. It was determined that a larger test sample—12 x 24 ft.—helped alleviate the contributory effects that perimeter clamping devices may cause, and accommodate wider fastener rows increasingly used on large roofs. The wider test assembly provides a more accurate test of real-world wind uplift stress. One of the factors that contributes to roof-related wind losses during hurricanes and other wind events is the fact that uplift pressure on a roof varies greatly from one area to the next. In general, a roof can be thought of like an aircraft wing. Wind flowing over the roof creates an area of low pressure above the roof, generating lift, just as it does over an airplane wing. Unfortunately, this lifting pressure is not uniform over all areas of the roof. At the corners, for instance, the uplift pressure can be three times or more than that found over the middle of the roof. This is due to vortex turbulence generated by converging air flows, creating small tornado-like flows over the corners and along the roof perimeter. FM Approvals’ RoofNav Web-based roof specification and planning system provides the required fastener densities for mechanically attached roofs for each area of the roof. RoofNav provides performance-based fastener specifications to account for higher wind ratings needed in corners and perimeter areas. 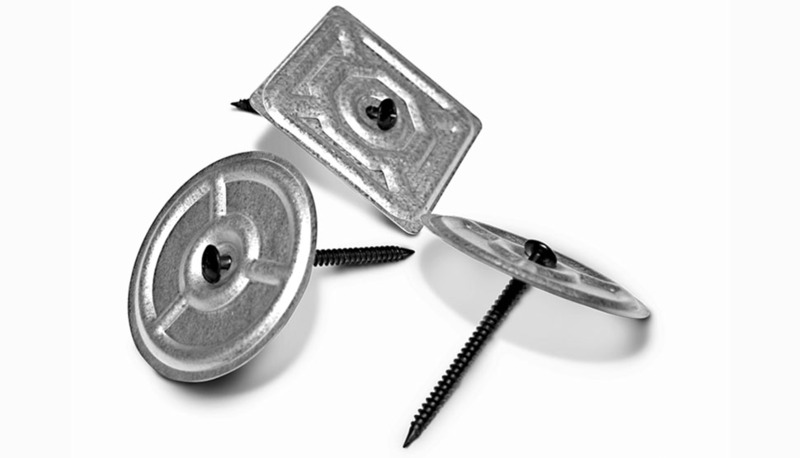 For assemblies where performance-based deck securement is not specified, fasteners can be added prescriptively by doubling the density of the fasteners along the perimeter and by at least 2.5 times the density at the corners. To learn more, refer to FM Global Property Loss Prevention Data Sheet 1-29, Roof Deck Securement and Above-Deck Roof Components (https://www.fmglobal.com/fmglobalregistration/). In a study conducted by one commercial property insurance company following 1992’s Hurricane Andrew, it was found that 59 percent of losses involving built-up roof (BUR) systems occurred because the roof perimeter failed. In 2012, FM Approvals embarked on an effort to strengthen the Approval Standard for perimeter flashing, Standard 4435, at the time entitled Roof Perimeter Flashing. At the same time, the U.S. trade organization, Single Ply Roofing Industry (SPRI), sought to modify its own flashing standard, SPRI ES-1. The two organizations worked closely together to achieve a consensus standard that could be incorporated into the International Building Code (IBC). Both groups agreed to make changes to improve their respective standards. For instance, the original SPRI test RE-1 was modified to change the angle at which the test membrane is held in the test apparatus from 45 degrees to the 25 degrees recommended by FM Approvals. Similarly, Approval Standard 4435 was modified to reflect the SPRI ES-1 standard that calls for full-sized flashing pieces to be tested. The original Approval Standard called for 3-foot (0.9-meter) test sections. The resulting consensus standard was adopted by the American National Standards Institute (ANSI) in late 2011 as ANSI/SPRI/FM 4435/ES-1. In many cases, manufacturers like to have options to go beyond the standard and subject their products to even more stringent or advanced test protocols in order to meet particular customer requirements or specifications. For instance, the U.S. government often requires a roof covering to provide a certain level of solar reflectance as a qualification for ENERGY STAR or other programs. NCC (Noncombustible Core) – This is an optional rating available within FM 4470 in which three additional tests are used to evaluate an insulation product to determine that it is noncombustible. For example, one FM Approved insulation product that has met this additional requirement is made of mineral wool fiber and has a melting point of approximately 2,150o F (1,177o C). This level of noncombustible performance may be a requirement in certain construction applications. Very Severe Hail (VSH) rating – This optional hail resistance rating was added as a recommendation to FM Global Property Loss Prevention Data Sheet 1-34, Hail Damage, in 2014 for roofs in certain parts of the United States and for anywhere else in the world that experiences very large hail. This VSH level is a step above Severe (SH) and two steps above Moderate (MH) ratings within FM 4470. A new test protocol is under development by FM Approvals. In the meantime, a Class 4 rating obtained using FM 4473, Specification Test Standard for Impact Resistance Testing of Rigid Roofing Materials by Impacting with Freezer Ice Balls, is recommended for areas susceptible to very severe hail. The desire to reduce serious property loss is a fundamental goal for designers, builders and code authorities around the world. While most testing for FM Approved roofs is still conducted at the FM Approvals test facilities at the FM Global Research Campus in West Glocester, Rhode Island, USA, some key tests are being conducted by qualified laboratories outside the United States. Among the key missions of FM Approvals offices around the world is to increase the availability of FM Approved products, and work to strengthen local product testing standards and building codes in support of property loss prevention. In regions where FM Approvals has the longest history, which includes North American and Europe, it has made the greatest gains in fulfilling these goals. In emerging markets such as South America, the Mideast, China, India and other Asia-Pacific countries, FM Approvals is working hard to forge relationships with local manufacturers, testing laboratories, regulatory bodies and industry associations. In China, for example, FM Approvals is helping local laboratories develop testing capabilities based on Approval Standards. For instance, in 2010, FM Approvals engineers helped a leading roofing product manufacturers association establish its own testing capabilities based on the ANSI/FM 4474 wind uplift standard. The China National Building Waterproof Association (CWA) in cooperation with the China Building Material Academy Suzhou Waterproof Research Institute built its own version of the FM Approvals 12 x 24-ft.-wind uplift test apparatus for roofing assemblies. The test apparatus was built using FM Approvals plans and with the assistance of FM Approvals engineers. The apparatus is being used by the CWA and the Institute in its own testing programs, but also to provide one of the key FM Approvals tests required to achieve Approval for Class 1 roof covers and roof panels. Other performance requirements under FM 4470 and FM 4471, Class 1 Panel Roofs—including combustibility, hail resistance, water leakage, and resistance to corrosion and foot traffic—must still be performed in West Glocester. However, the ability to perform the 12-ft. x 24-ft. wind uplift test in China makes it easier for local manufacturers to provide FM Approved roofing assemblies. In addition to locally available roof testing, China, in 2011, adopted two Approval Standards for roofing as Chinese national standards. FM 4470 (which references FM 4474) and FM 4471, Class 1 Panel Roofs, were the basis for the China national standards, GB 12952-2011 and GB 27789-2011, respectively. It just got easier to specify an FM Approved roof assembly in Europe. A leading German steel roof deck manufacturer recently earned the FM APPROVED mark for its steel deck. This makes it possible to build fully FM Approved insulated steel deck roofing assemblies anywhere in Europe. This new steel deck Approval has been added to FM Approvals’ RoofNav system. In 2009, FM Approvals began utilizing a new Natural Hazards Laboratory featuring a wide range of test areas and apparatus for evaluating building materials and assemblies for resistance to wind uplift, hail, water, weathering, debris impact and much more. The use of FM Approved roofing and wall systems have helped commercial and industrial property owners avoid major losses and business interruptions. The popularity of these FM Approved building systems led to a need for expanded capacity for testing and research. Sub-dividable wind uplift laboratories was one of the major improvements for roof testing and certification. Only one 12 x 24-ft. (3.7 x 3.7-m) wind uplift test could be accommodated in the old laboratory. The new wind uplift lab is far larger and can easily accommodate additional testing. Dedicated space is also provided for weathering, steep-sloped roof testing and exterior wall tests. This area has helped improve productivity and reinforced the importance of confidentiality.  FM Approvals works hard to meet the needs of forward-thinking building designers, architects and builders. FM Approvals standards and Approved products help make roofs not only the first line of defense in property loss prevention, but also help to promote energy efficiency, natural lighting and reduced greenhouse gases. Approval Standards are available for the evaluation of both flexible and rigid photovoltaic panels, vegetative roofs (i.e., using soil and plants on roof tops to save energy and protect structures from the elements) and skylights.